What I like about my profession are the people who I meet. 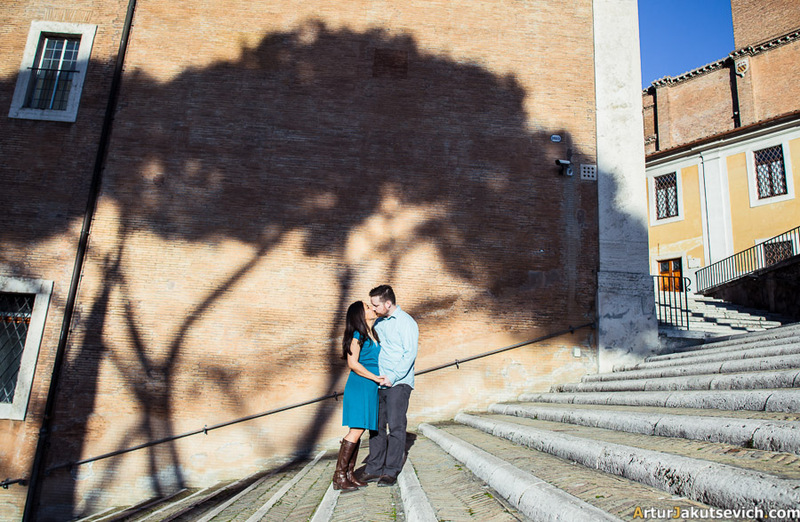 Moments when he asks “Will you?” inspire, the most essential “Yes, I do!” at the wedding gives hope and such photo shootings as I will present you today — they make me happy. 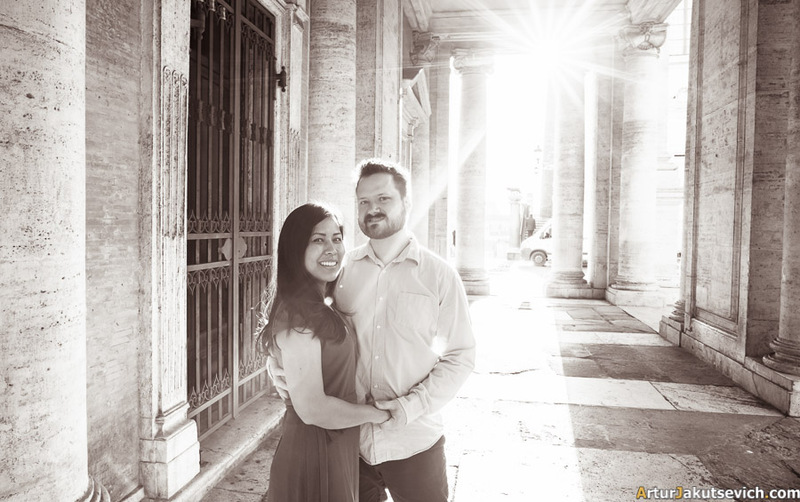 Let me introduce to you, my fellow readers, a lovely couple from the USA, who came to Italy to celebrate their fifth wedding anniversary in Rome. 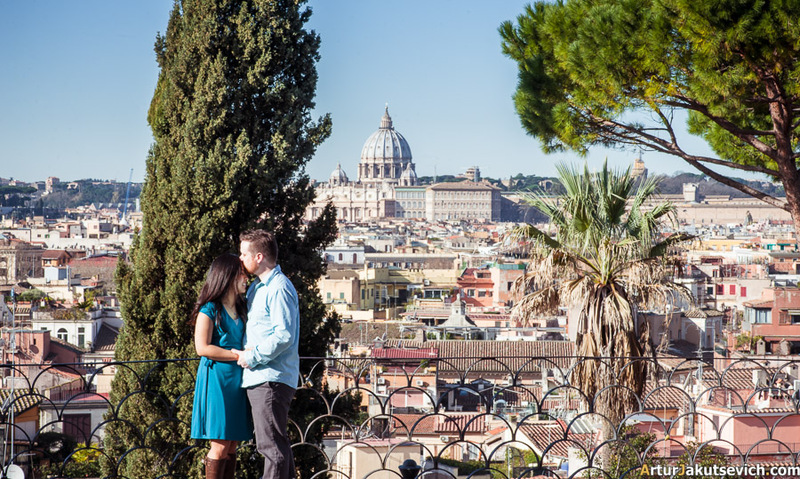 Though it was February, the weather in Italian capital was amazing. 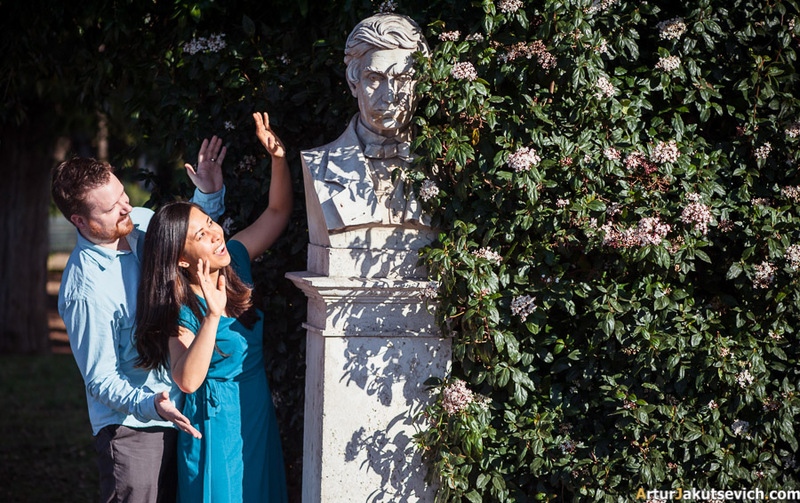 That day when we had a professional photo shooting in Rome it was +15. As Margarita said, they experienced the temperature gap of 30 points. In Michigan, where the couple comes from it was about -15. 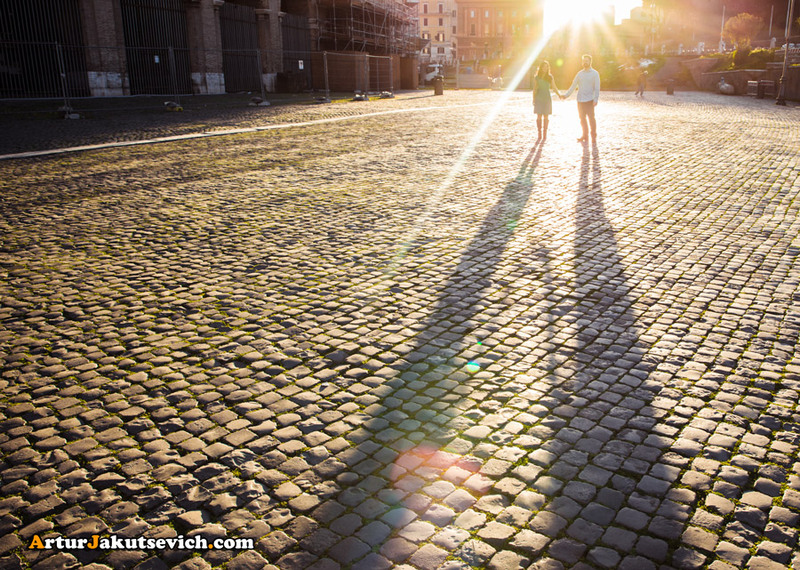 So there were no obstacles for us to make a interesting stroll around the city and it’s fascinating attractions. 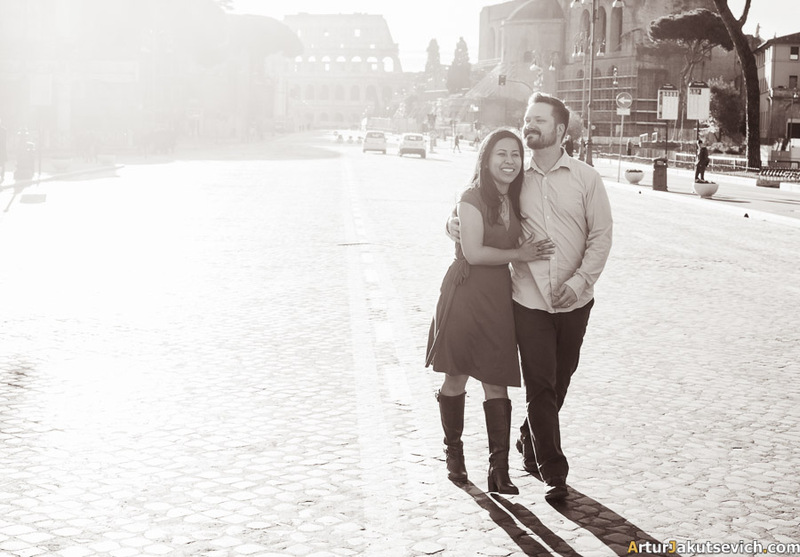 So we continued our wedding anniversary photo shooting in Rome along on of the central streets of the Ancient city — Fori Imperiali. 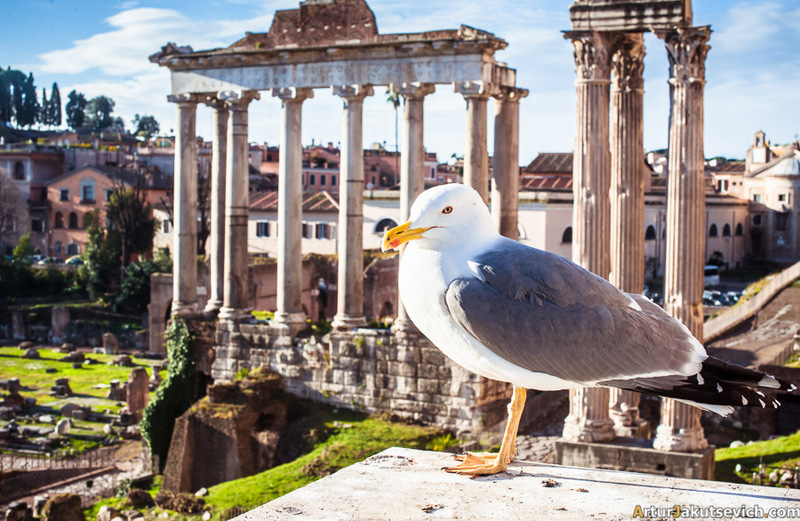 In Roman forum we met a very interesting character. The bird let us in only after a couple of portraits. 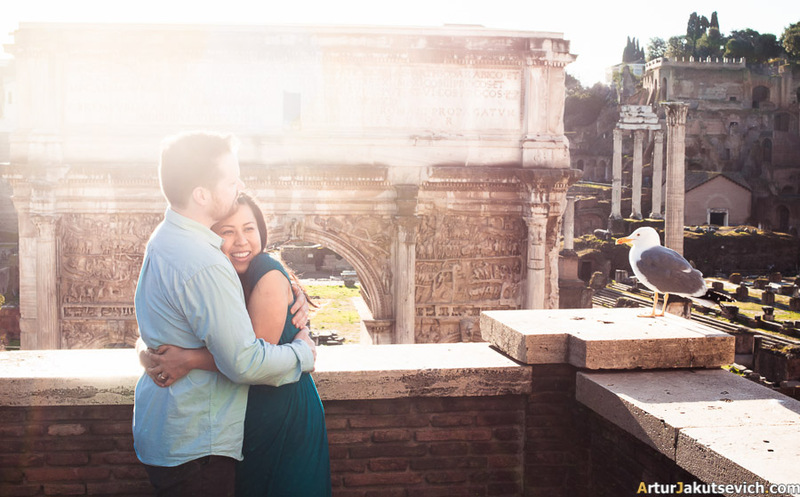 If you still have doubts about how to make your wedding anniversary unique and memorable, book you flight to Rome or any other Italian city and we shall make a photo shooting with you. 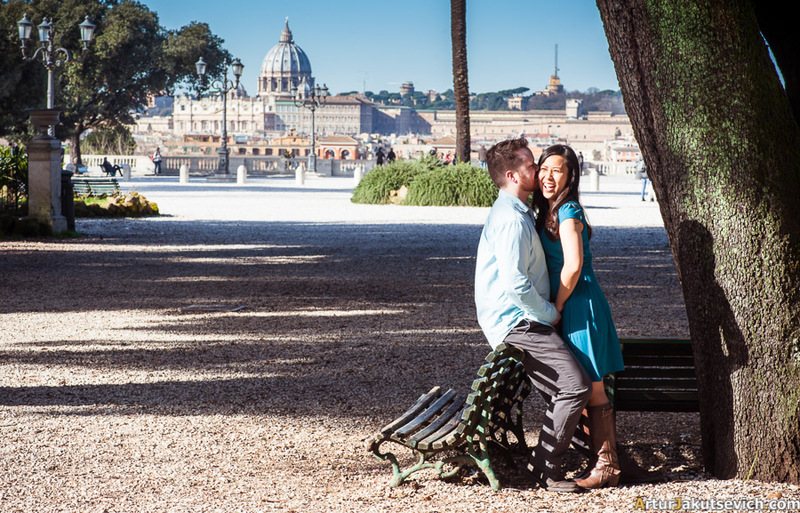 Just have a look at how happy Margarita and Brooks are while discovering Villa Borghese. 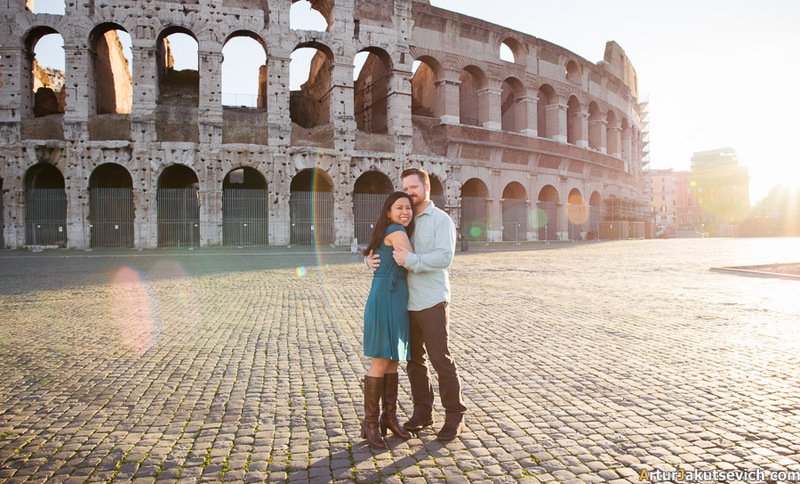 Margarita and Brooks, I want to sincerely thank you for you amazing example of love and faith. 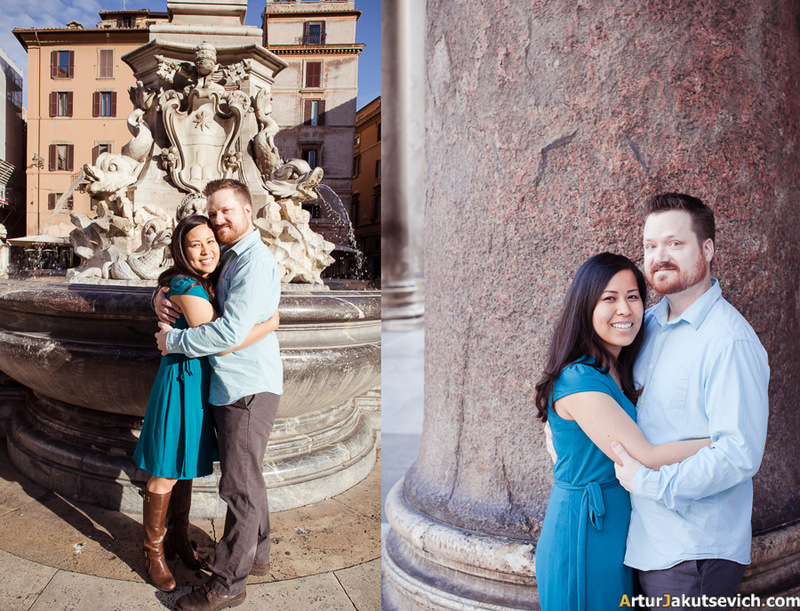 After five years of being together you surprise and love each other. I saw it through my lens. 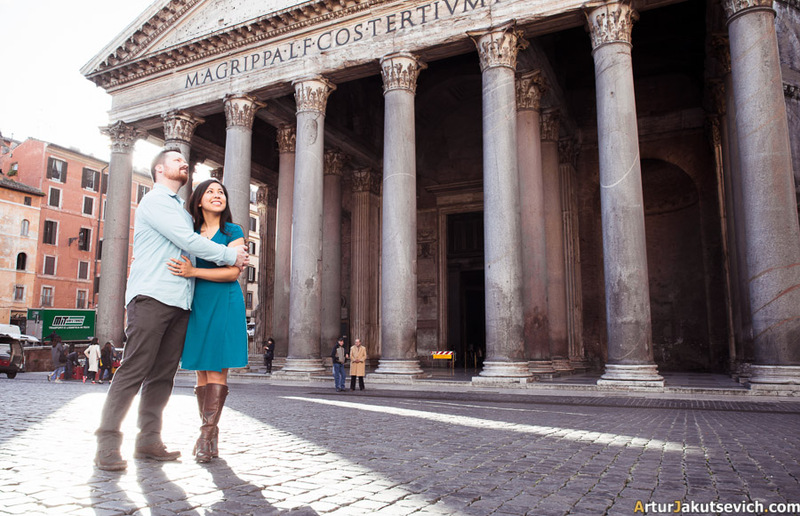 There is no other chance for you after such a wedding anniversary in Rome, but to plan the following in Amsterdam or Paris. See you in a year?